Tilsley College is here to equip God’s people for God’s work in God’s world. That means we are here to serve local churches in preparing people for service within the kingdom of God. One important event in our calendar for this Spring is our annual Open Day. 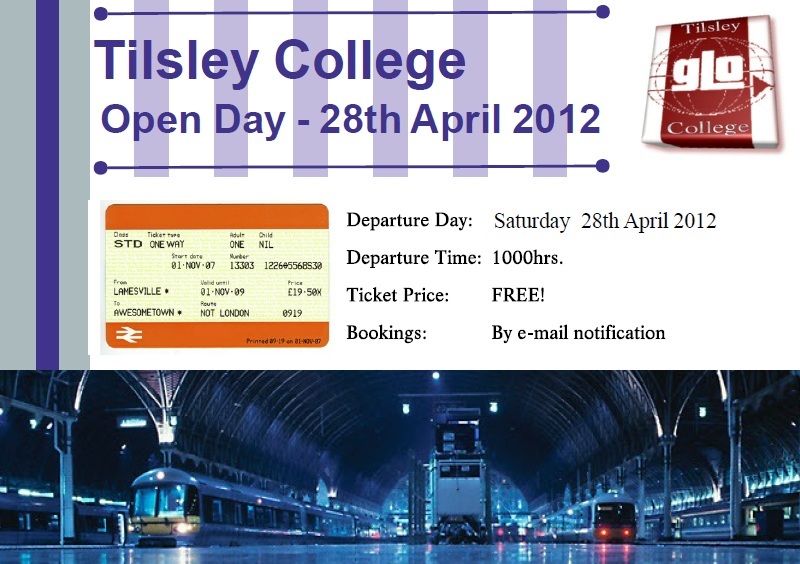 This will be held on 28 April 2012, from 10am to 3.00pm. This is a great opportunity for church leaders and prospective students to come and find out a little more about Tilsley. We would expect that this would give a real insight into what the college is about, who we are as a staff team and what it might feel like to be part of the student body. We would want to encourage you to actively and prayerfully consider whether you know someone who might benefit from training of this kind. We have graduates who are currently engaged in cross-cultural mission, some in church planting and local church ministries here in UK, as well as others who have returned to secular employment where they live out their Christian lives from day to day. Our students have in the past been drawn from an international background, various denominations, and they have ranged in age from 18 to 50, so you can quickly understand that the college training is not restricted to any one group. We feel sure that you might know someone you could encourage to take up the challenge of Bible College training. If you are a church leader, or a prospective candidate, we would love to meet you and talk through the implications of training at Tilsley, so that we may know your needs and be able to serve the church of the Lord Jesus Christ more effectively. Why not join us then on the Open Day? Write a comment on this post and I will get back to you.